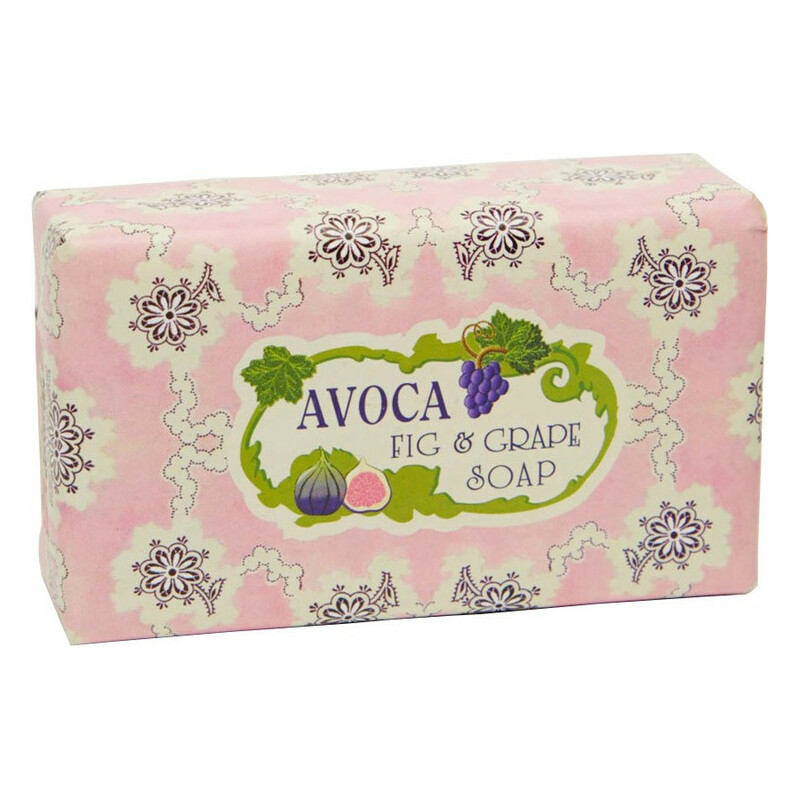 This fig and grape scented soap is presented in a lovely vintage packaging! Discover this sweet and refreshing fragrant blend! This fig and grape scented soap develops a summer time fig scent with a slight tangy grape scent. A palm oil and coconut oil soap. 100% from vegetal origin. 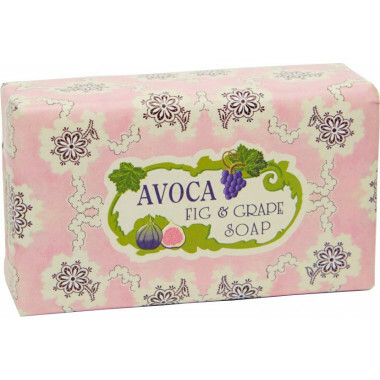 This soap has not been tested on animals. Ingredients: sodium palmate, sodium palm kernelate, water, perfume, glycerin, sodium chloride, shea butter, titanium dioxide (CI77891), EDTA tetrasodium, tetrasodium editronate, linalool, coumarin, limonene, alpha-isomethyl ionone, butylphenyl methylpropional.